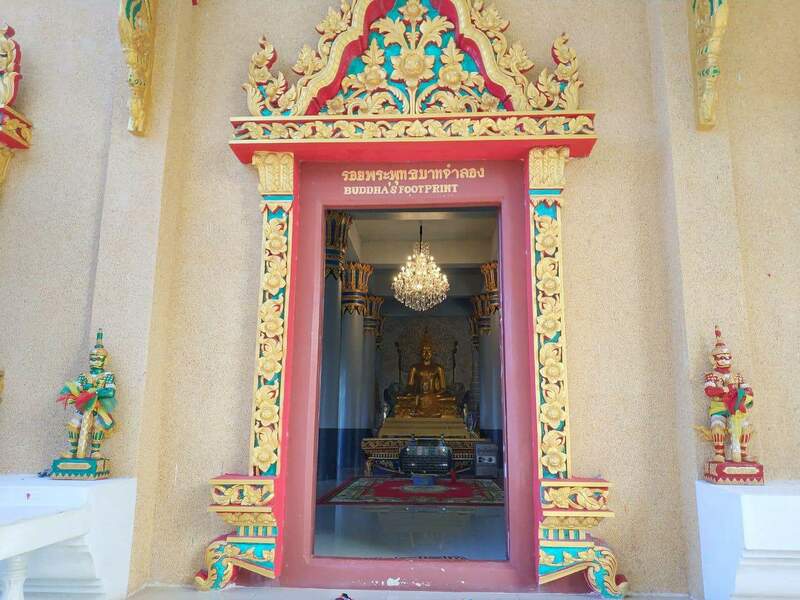 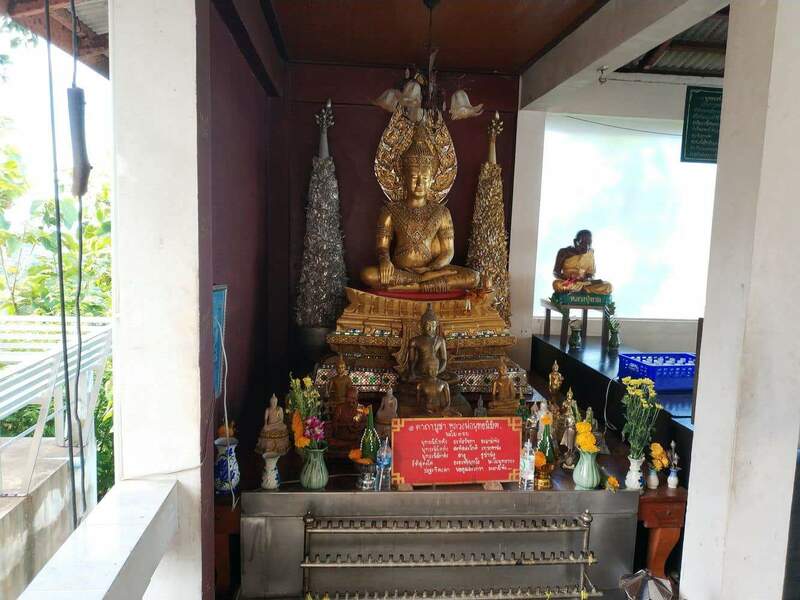 Koh Samui’s century old Buddhist culture will fascinate many history buffs. 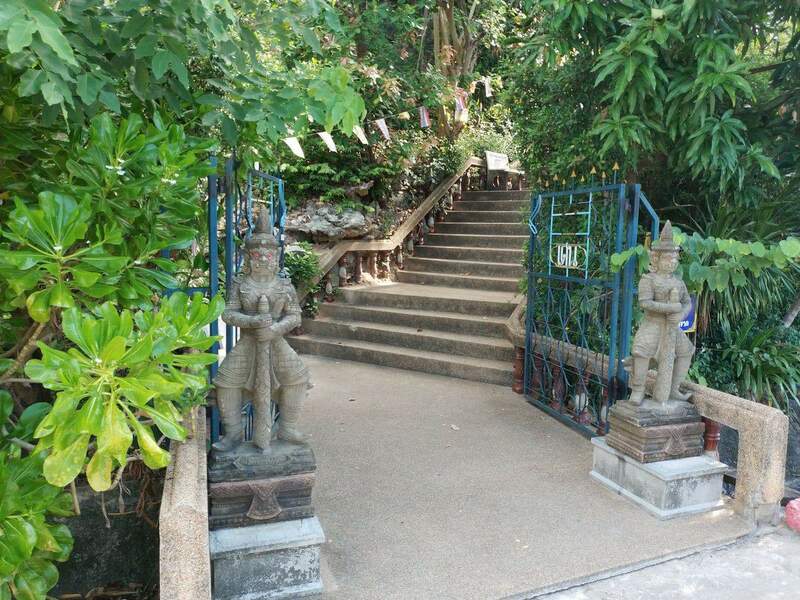 The island is home to many quaint temples and artifacts, and some Buddhist wats also feature the mummified bodies of renowned monks. 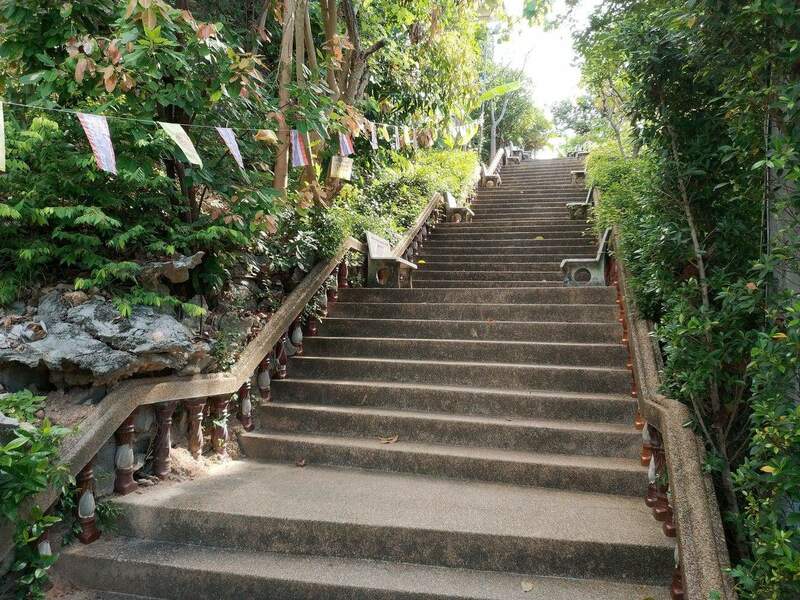 The north-eastern coast of the island is popular for its famous Big Buddha statue. 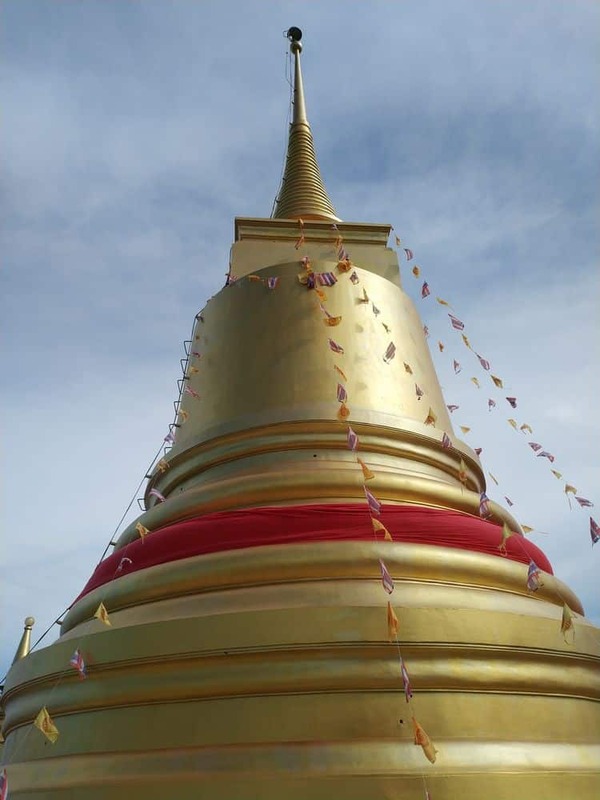 Apart from this monument, you will also see a number of smaller wats nearby. 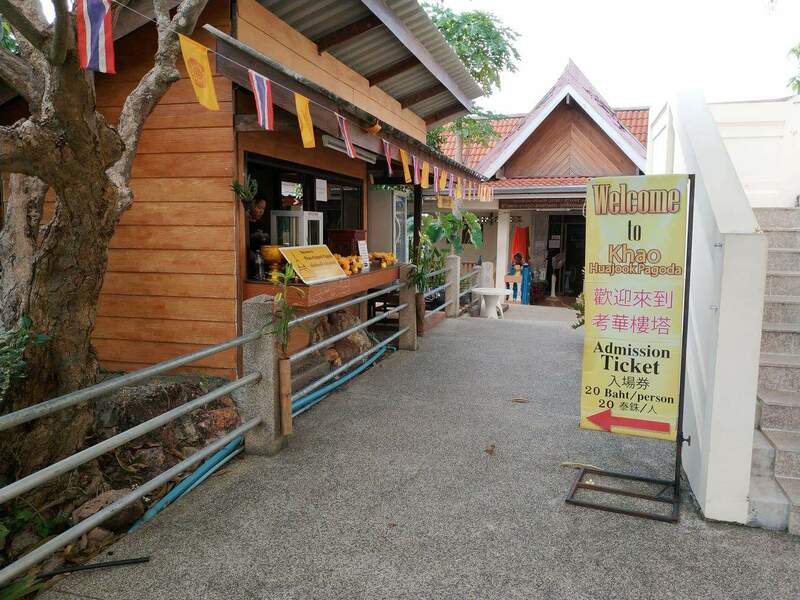 The Wat Khao Hua Jook is a small, yet popular wat nestled in the northern part of the island. 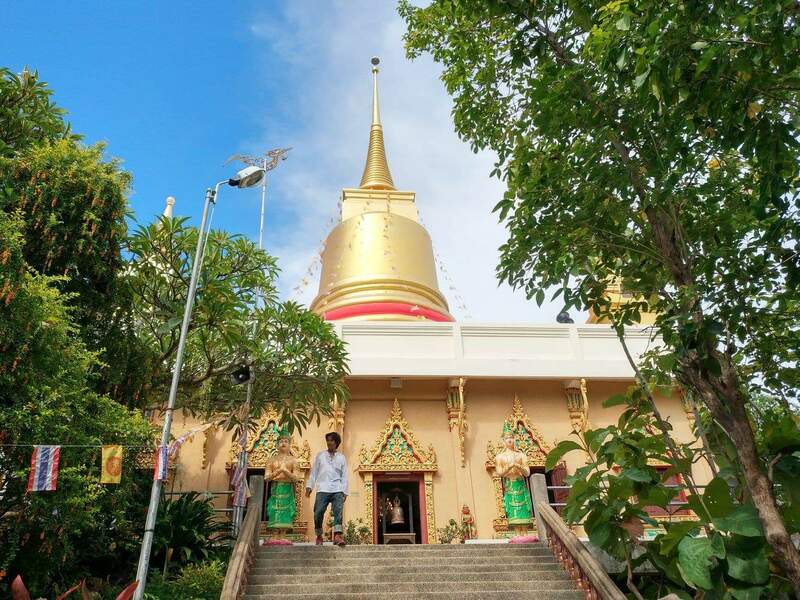 Sitting atop a hilly terrain, Wat Khao Hua Jook offers great views of the surrounding areas. 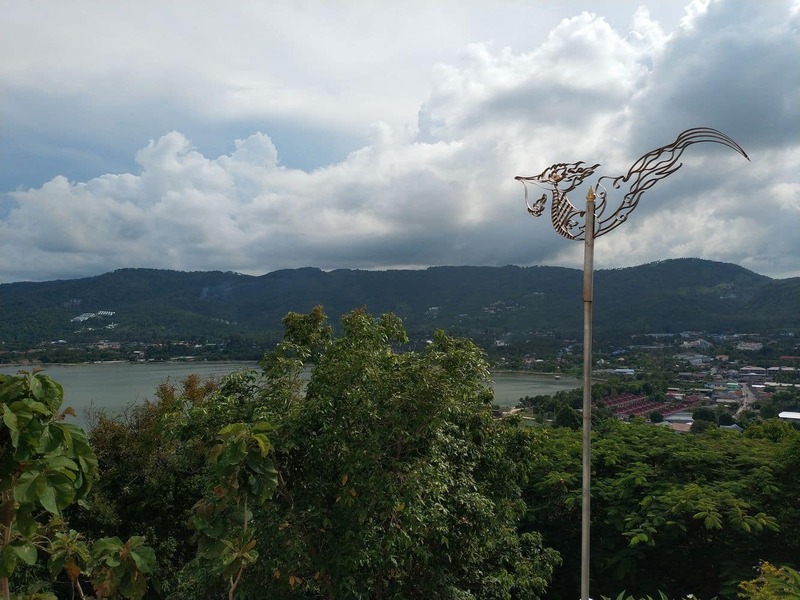 The hilly terrain reaches approximately 90 metres above sea level, and visitors who make the climb will certainly enjoy the panoramic views from the summit. 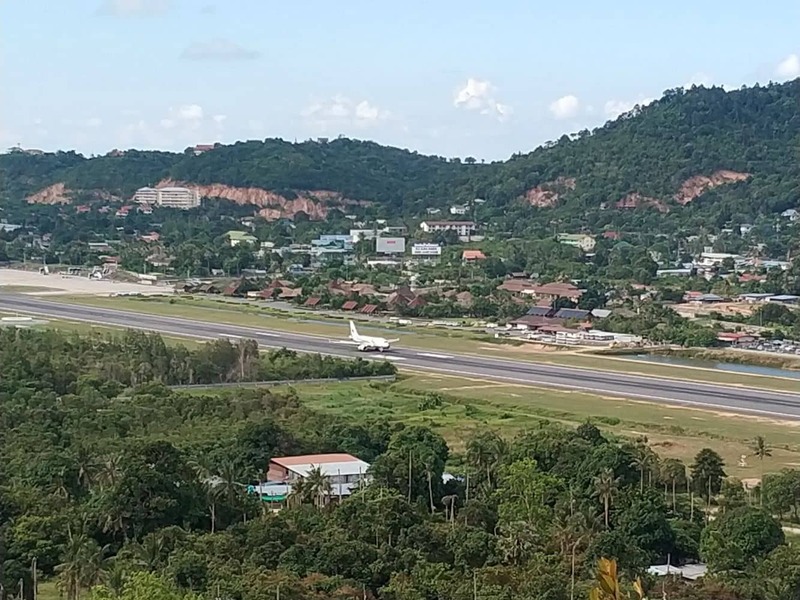 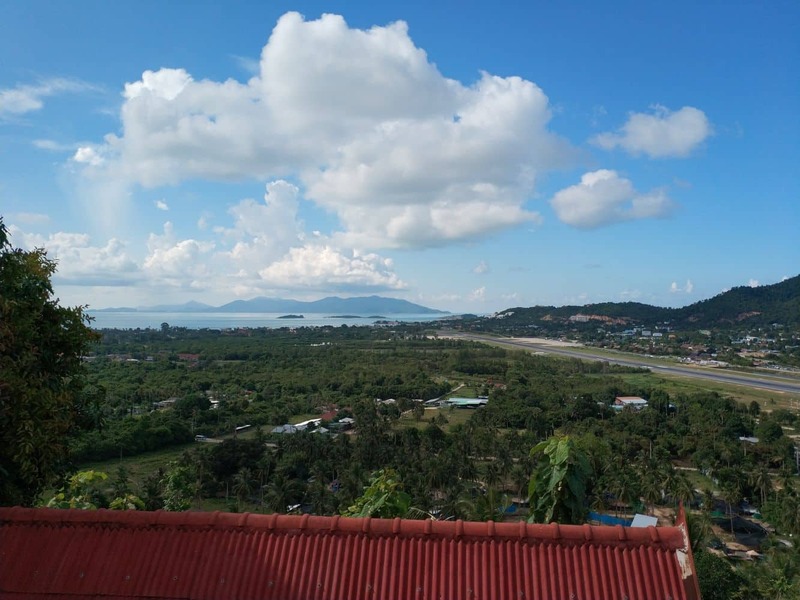 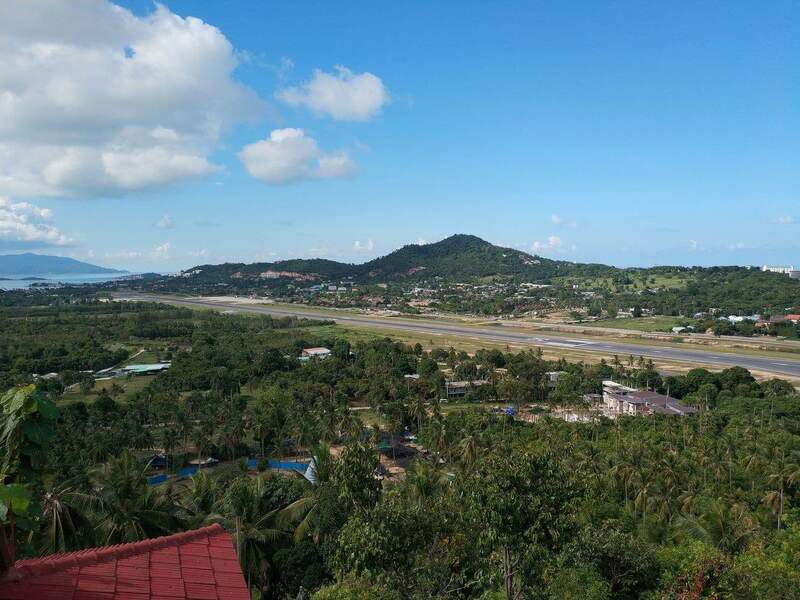 The wat is also close to the Koh Samui airport, therefore visitors will catch a glimpse of flights taking off and landing. 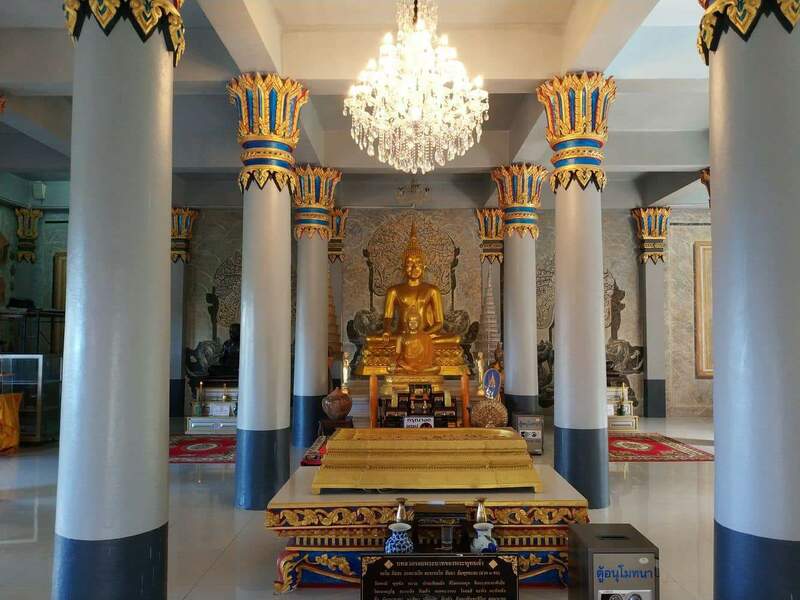 The wat’s tranquil environment and serene setting is perfect for meditation. 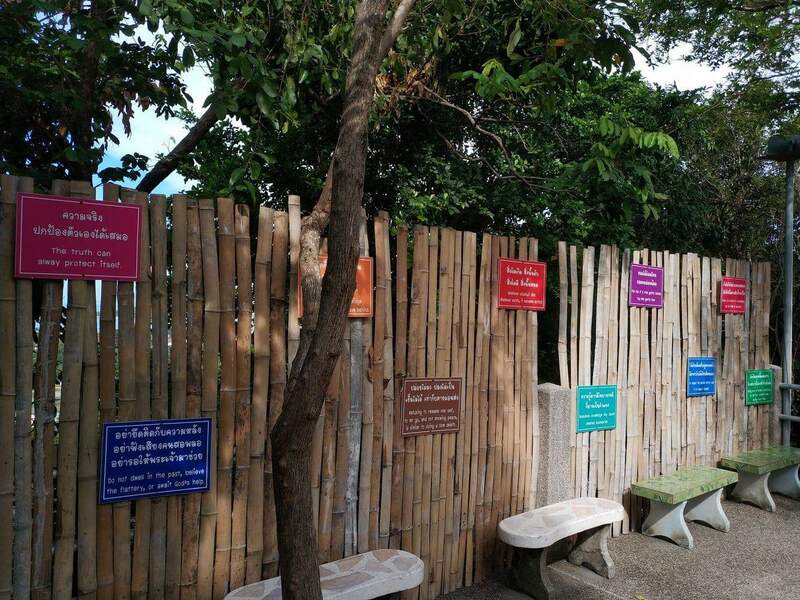 Many visitors come here to sit back and relax in this beautiful location. 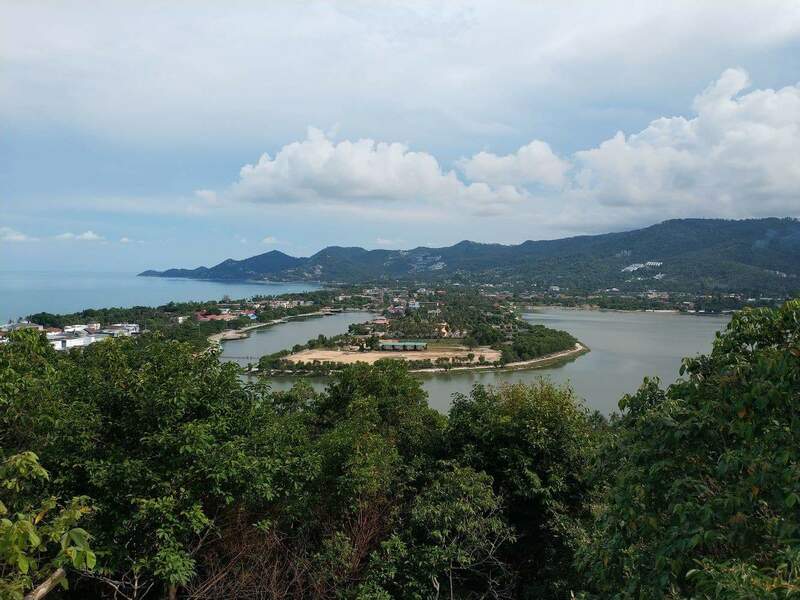 In addition, locals often come here to spend the evening watching the gorgeous sunset across the Koh Samui Bay. 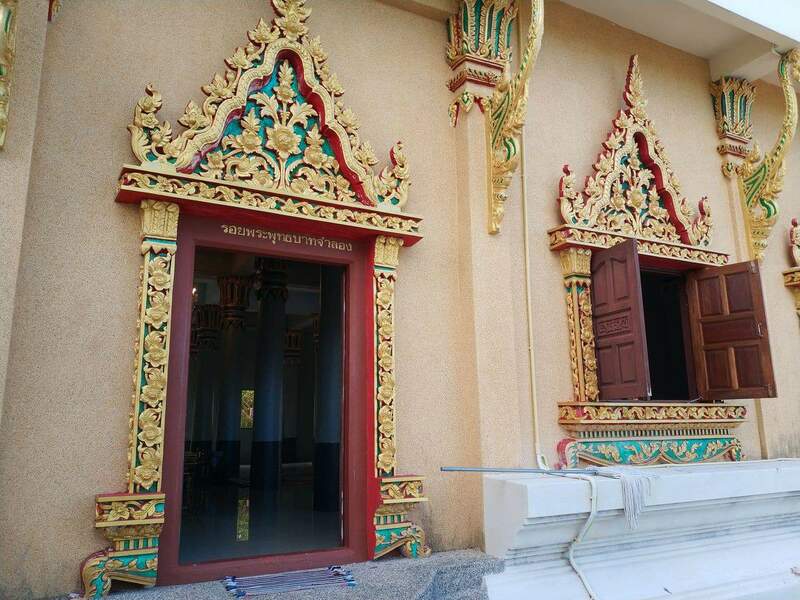 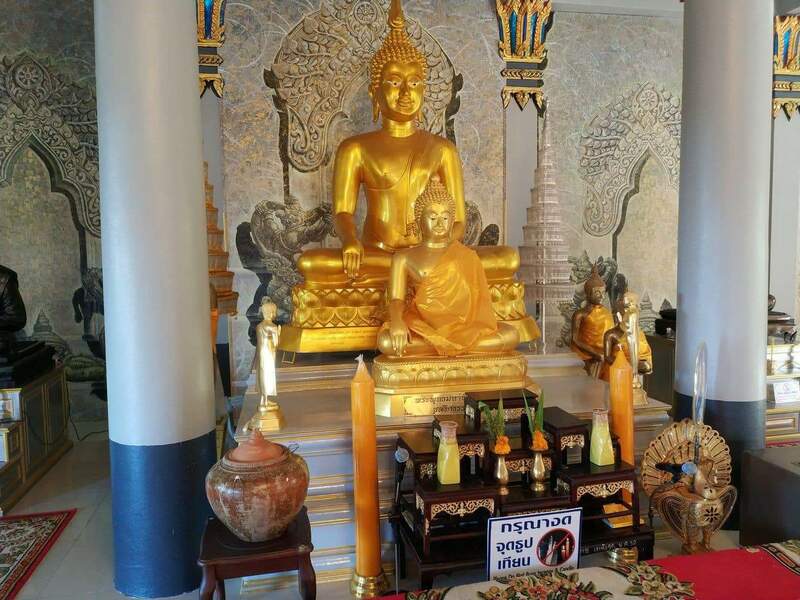 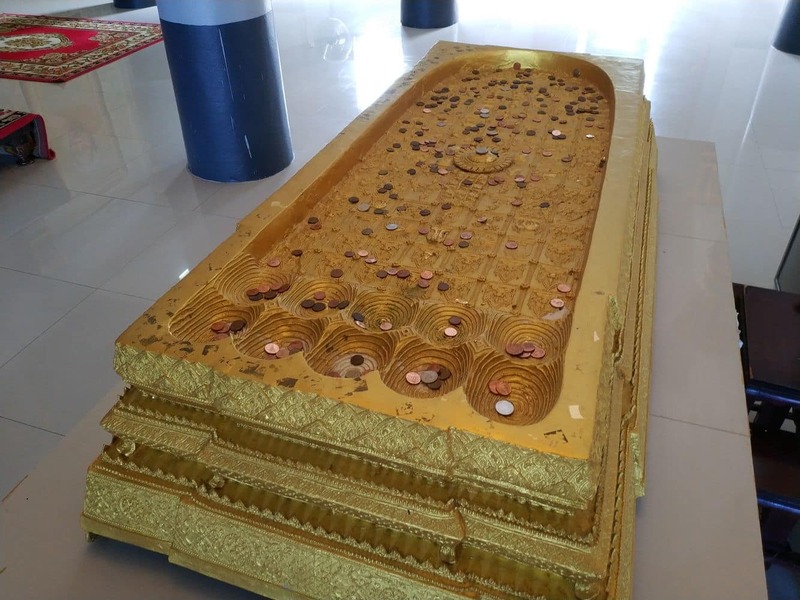 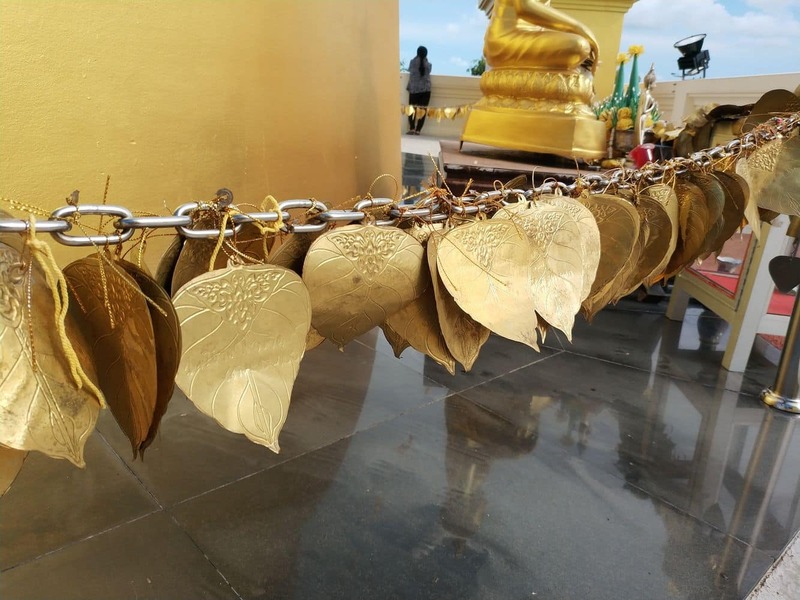 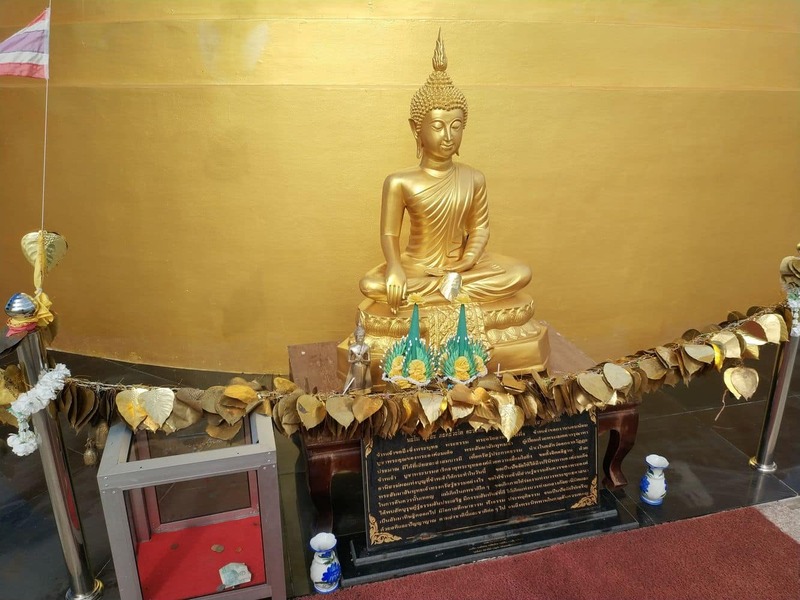 The temple is also known for its famous monument, a replica of Buddha’s footprint, which is kept inside the temple. 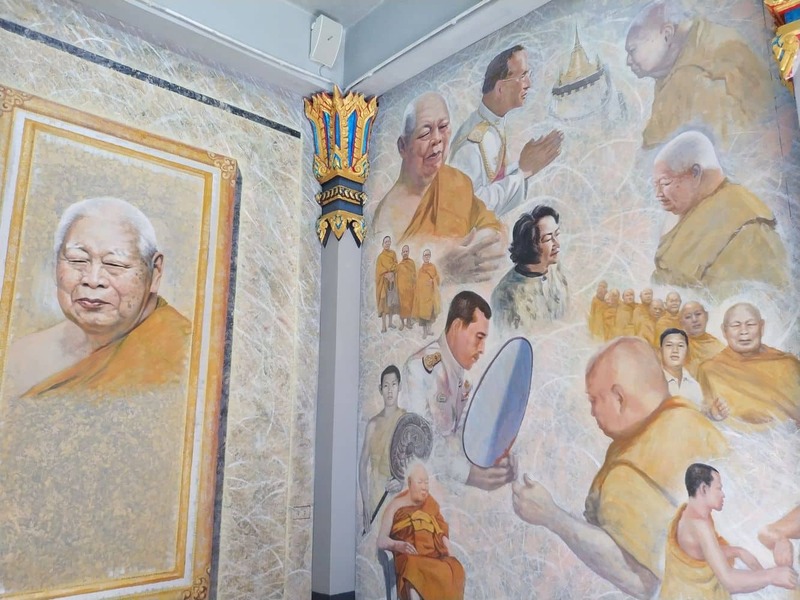 On your way to the hilltop, you will come across the Nathalie’s Art Palace and the famous Q Bar. 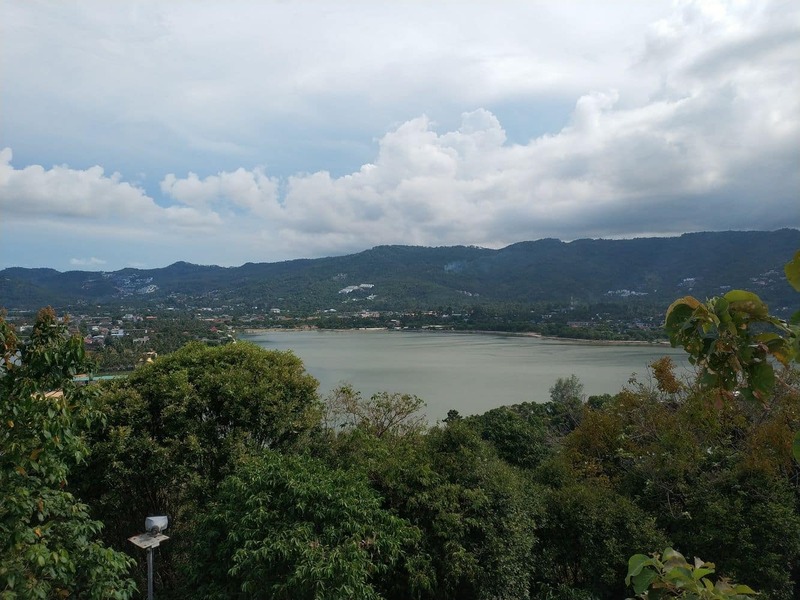 Those coming from Chaweng can take the opposite road to the north end of Chaweng Lake in order to access Kao Hua Juk Road. 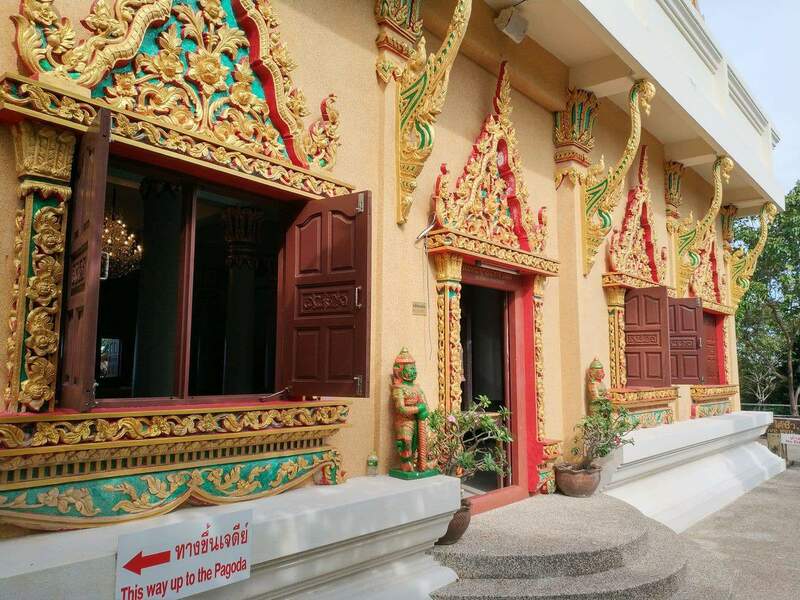 Visitors should continue along this road and then walk up a hill in order to visit the wat.